The argument about whether smoking tobacco should be allowed in substance abuse treatment facilities has been going on for decades. Did you know that approximately 20% of adults in the United States currently smoke and between 75% and 95% of persons in treatment programs for addictions are cigarette smokers? There have been numerous studies done that show continued tobacco use in treatment hinders the patient’s ability to successfully complete the treatment program without relapse or using tobacco as a replacement addiction. 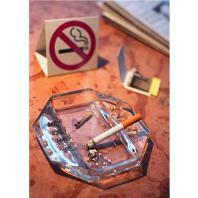 Many times, a patient in addiction treatment will say they continue to smoke as a means to relieve stress. Andrée Aubrey, LCSW, and the Director of the Area Health Education Center at Florida State University’s College of Medicine urges therapists not to dismiss a patient when they claim that their continued tobacco use as a stress reliever or a means to deal with anxiety. “The symptoms of nicotine withdrawal begins approximately 60-90 minutes after smoking or using other tobacco products. Nicotine withdrawal is characterized by irritability, frustration, anger, difficulty concentrating, increased appetite, restlessness, depressed mood, and insomnia. 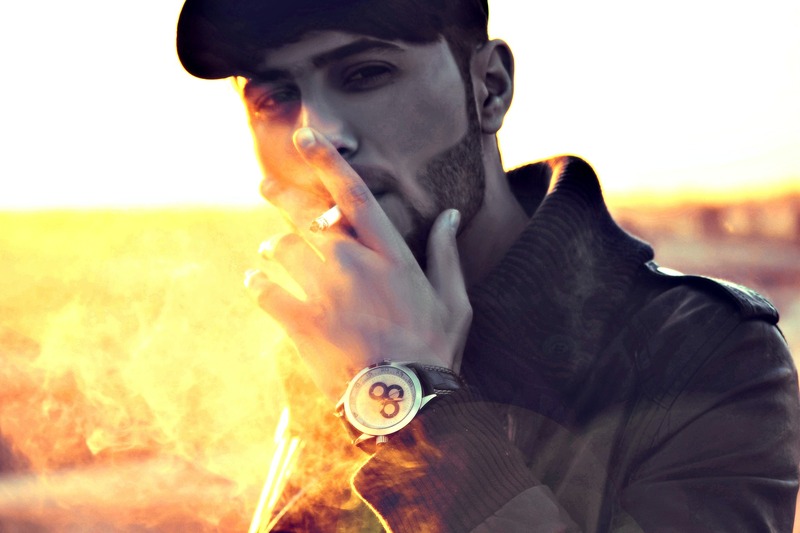 Smoking or chewing tobacco relieves these withdrawal symptoms rapidly, usually within seven to ten seconds, giving the tobacco user a sense of calm and pleasure. Therefore, the tobacco user feels better, receiving a reward in the form of a brief reprieve from “stress” only to have the “stress” (withdrawal symptoms) return repeatedly throughout the day.” Aubrey followed this up with a study done by the British Journal of Psychiatry that found a drop in anxiety from patients who quit smoking in treatment. 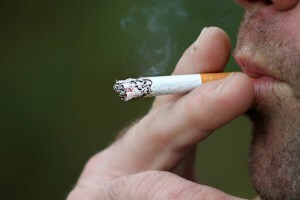 In a study conducted by Dr. Patricia Cavazos-Rehg at the Washington University School of Medicine in St. Louis, Missouri, analysis suggested there is no concern that smoking cessation would result in smokers’ increased risk of some mental or substance abuse disorders and that smoking cessation is associated with risk reduction for mood/anxiety or alcohol use disorder, even among smokers who have had pre-existing disorders. Many patients in substance abuse treatment fear that attempts at smoking cessation will jeopardize their sobriety, but research suggests that smoking cessation may actually enhance alcohol abstinence. Smoking rates among persons with a history of alcohol abuse are triple of the general public and the risk of cancer and cardiovascular disease is higher in recovery alcoholics than in peers who smoke but do not drink alcohol. Many patients who smoke tobacco prior to entering treatment seem to believe that they should focus on overcoming one addiction at a time. An employee at Lakeview Health and a person in recovery, Jane (whose name has been changed to preserve anonymity) agreed that tobacco was addictive but said, “I admit that I was addicted to tobacco when I entered treatment, but it wasn’t ruining my life like my drug use was. It is walking a fine line. We know the dangers of tobacco use and the effects it has on your health, but it’s hard to argue Jane’s point. Perhaps that is why many substance abuse treatment facilities still allow smoking while in treatment, though many of those facilities have now started offering tobacco cessation classes for patients who wish to quit smoking while they’re in treatment. Many people find it contradictory for patients who are in treatment for an addiction to be allowed to continue using tobacco, and as stated before, many facilities are working to become tobacco free one step at a time by helping educate their patients and transition them to becoming tobacco-free. Have your or your loved one struggled with tobacco use in addiction recovery? Did you make the decision to stop using tobacco, why or why not? What advice do you have to share?